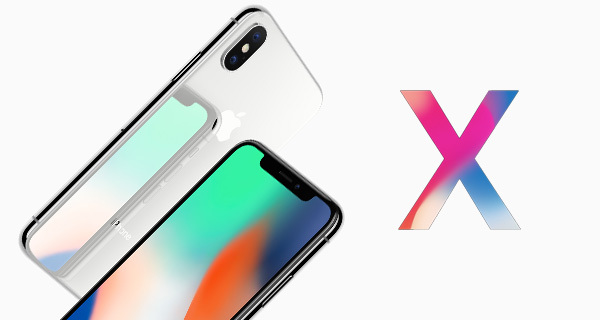 The iPhone X does not go on sale until November 3rd with pre-orders opening up a week prior, but excitement continues to grow ahead of what will arguably be Apple’s biggest iPhone release in ten years. While a lucky few have been able to handle the new smartphone ahead of its launch, there has been little to go on of late for those of who are not part of Apple’s inner circle. There are, however, some who do get to try the iPhone X out ahead of launch day that are not press, such as Apple employees and those who work for partners such as carriers. One of those people has shared a short video showing the iPhone X out in the wild, something that will surely start to happen more and more as we edge nearer launch day. The video, which was initially posted to Instagram and now has pride of place in a Reddit thread, shows a Silver iPhone X being handled. There is little really to learn from the video beyond what would appear to be a new live wallpaper that has not yet been seen, at least by us. The red bubble effect is one that we think will be popular, and it certainly looks to show off that inky black OLED display that Apple is now using in the iPhone X. What we do know is that the hype surrounding the iPhone X is only set to intensify as launch day nears. More photos and videos of iPhone X handsets out in the wild will surely come, and while we are unlikely to learn anything really exciting that we did not already know, just seeing this new iPhone in the hands of people at least makes the thing feel a little more real somehow. Now we just need November 3rd to roll around! must be nice to be rich and privileged! This is old, my first flip phone could do this lol, actually I could put a video of my own I made as my wallpaper and Apple is just now coming out with it. That’s pretty cool. My flip phone was NOT very exciting. I imagine it would drain the battery pretty fast if it’s always moving though. It was a Verizon Samsung SCH-U740 I just found it in my storage lol. It had great battery life for the time of its release as the video only played when you opened it to look at it. 2nd phone I’ve ever seen with this feature back then. Think I may order a new battery for it just to see my pictures and videos in its memory lol. It was called the “Alias”. The Note 8 cost $930… you said the same thing when it came out right? Anyone owning any cellphone is privileged. Dumbass. Rich? Not even close.